Worx are a small brand, building limited numbers of bikes across road and cross genres. They're also really keen on getting kids to explore their riding potential. To this end they make a series of junior sized versions of their senior models. 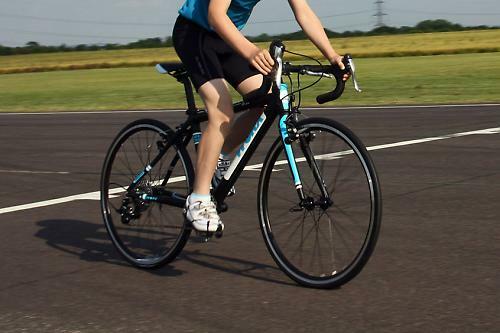 The JA24 is their 24in wheel road bike and also their 24in wheel cross bike. The look of the JA24 is stunning. It's as far away from being a 'toy bike' as possible. 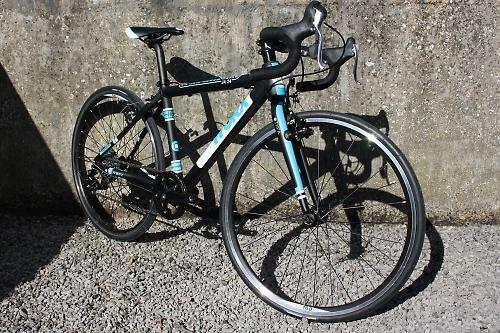 Finished in matt black paint with white and pale blue logos it wouldn't look out of place in the Tour de France. Cycling kids want to be taken seriously, it's great that Worx do that. 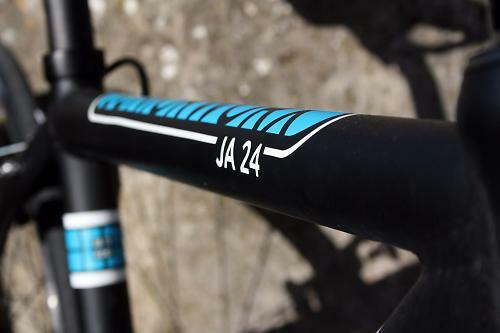 As we've established the JA24 is deigned to be ridden on and off road, so there's the obvious raft of off-road features like generous tyre clearances, cantilever brakes, and secondary bar top brake levers. If you choose, you can spec the bike to come with dirt-ready Maxxis Cross tyres. We opted for the 1 inch Kenda slicks, to allow a good comparison with the Scott Speedster24 and Formeula 24 (review coming next week). It's getting easier to scale down road bikes, with bespoke components designed specifically for use by smaller, less powerful bodies. The WorxJA24 has some of these and a smattering of other detail touches in the 6061 alloy frame which itself uses what Worx call their 'Junior Worx proportional geometry'. Looking at the riding position our testers were able to achieve, it's not just hot air. The net result clearly shows this is one bike that hasn't just been thrown together with a bunch of bits that an adult assumed would be right. There's solid research gone on here. The frame has more tweaks, intricate tube forms and subtlety than most top end adult frames. The ride is the most comfortable of any of the kids' bikes we've tested: not springy or giving, but smooth, ideal for small wheels and lumpy roads, even better for off road trails. The 6061 alloy fork, with its striking straight blade looks and matching matte black and sky blue paint, feels easy on the hands while not giving away anything on the speed or precision of the steering. The front end is dominated by the bar. A really old school, but welcome, very shallow drop complete with exceedingly tight bend (if you're 42). Some of the riders judged it on sight as 'urrgh', right up until they rode it when it received unanimous praise for its ability to let them sit in the hooks for longer periods, staying out of the wind, going faster and, of course, looking pro. A vitally important detail to a ten year old. 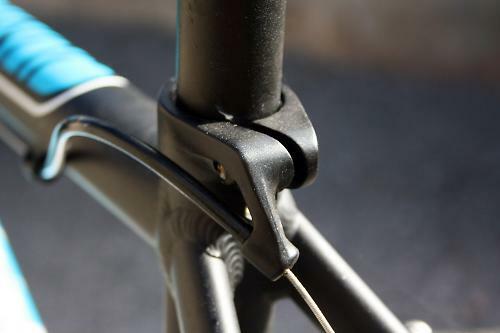 The alloy stem is a stubby 50mm job which looks a bit lumpy, but was a perfect length. Worx want their juniors to concentrate on developing a clean high cadence spin, so they fit the JA24 with a single 32-tooth chain ring, on an alloy square taper Crankset, which sports 145mm arms - the same length as found on the Scott Speedster 24. Testers found the 44-tooth big ring of the Scott a bit tall, with a tendency to make them push too hard and stymying an efficient spin. The single 32-tooth ring of the Worx JA24 had them whizzing out the revs, with less overall strain on young muscles. The quicker cadence also helped them adopt a smoother spin and quieter upper body. Coppi would be smiling. The theme continues with an easy going nine speed 13-32 cassette, for a 1:1 bottom gear. Just about enough to by, though a 12-34 would have given a lower bail-out gear. 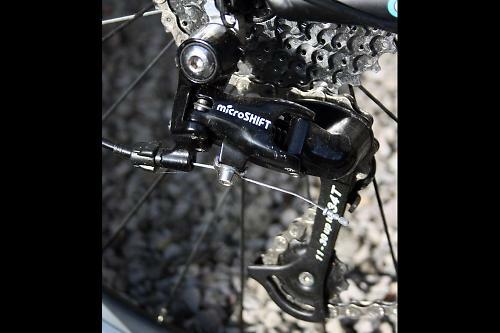 The transmission comes from Microshift, a bit player on the global component scene, but maker of worthwhile, well-made accurate and reliable kit. Our testers nailed every shift first time. 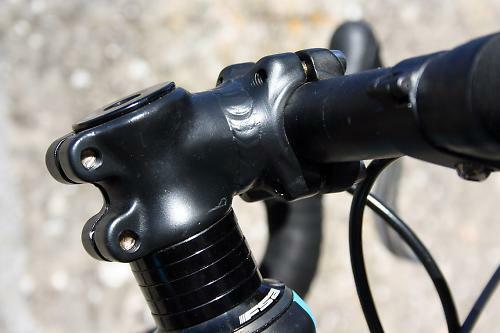 The right side shift/brake lever is paired with a left hand brake lever (remember there is no front mech to shift) which looks a little unbalanced, but the riders cared not. 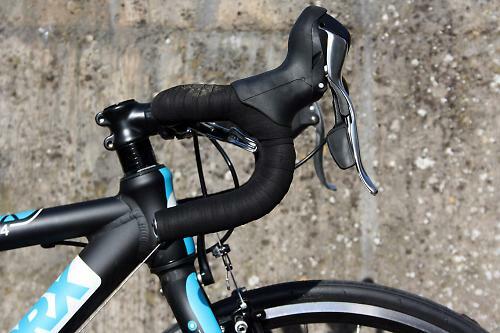 There is a secondary set of brake levers on the bar-top; Tektro AL720's mated to Oryx cantilevers. Wheels are a key element of any bike and Worx spec their own alloy rims with cleanly machined sidewalls and sealed cartridge bearing hubs. We mentioned the detail Worx are obsessed by and it shows even in the quick release levers, they are lovely units with old school chromed D ring ends on the nuts. They made this dad smile. 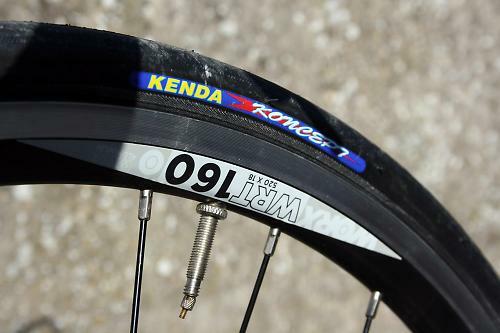 Shod in fast rolling one-inch Kenda slicks the JA 24 gets right into its stride with minimal assistance. 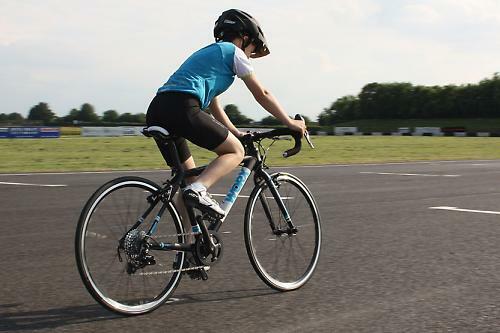 The easier gearing allows the fast burning energy of kids to mesh with the bike and result in lots of speed. Paired with an easily attainable aggressive position thanks to the lovely bar and the lads were hunting for the wheels of senior riders at the Castle Combe chain gang. Our testers found climbing was fun on the Worx. The front end position made transitioning in and out of the saddle easy, which helped when the 1:1 bottom gear was still a bit steep to stay seated up Brassknocker Hill. A switch to a Shimano 12-34 cassette might've helped. Overall though, negatives were minimal. 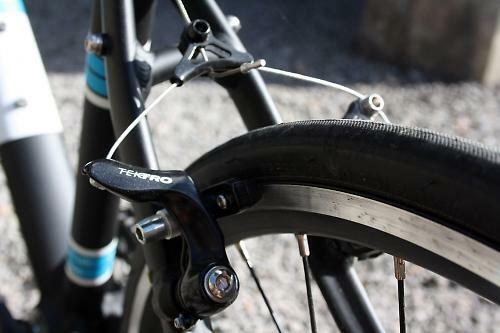 Riders wanted the secondary brake levers moved inboard to free up the bar tops, and the Tektro canti brakes took a while to bed in from new, and that was it '' a pleasingly short list. The Worx JA24 is designed for the rider who values the chance to ride and train on all surfaces, with a geometry that's every bit at home threading tech singletrack as it is swooping down road descents. Worx say 'With geometry, tyre clearance and brakes that allow for multi discipline use; you're safe in the knowledge that the JA24 is all the bike any Cyclocross and Road Racing youngster needs'. The Worx is designed and built with the needs of smaller less physically strong riders (children) in mind, each element of the bike demonstrates a clear of this and consequently the bike was loved by all the riders who tested it. As good as any you'd find on full size race bikes costing four or five times as much. 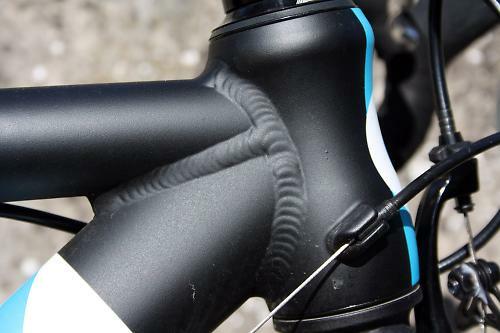 Thin walled alloy tubes require care and attention from the rider if accidental dings are to be avoided. Really light, riders loved the absence of mass from the bike, relishing the instant zing it gave. Worx avoided overbuilding the frame and speccing lumpy components, so the comfort was really good. It's not cheap, but it is really that good, that the child will instantly love it and feel like they're a better rider. Faultless. It was a joy to use on and off road. The bike takes kids who ride hard seriously. From top to tail its a proper race spec bike. Did you enjoy using the product? Absolutely. Would you recommend the product to a friend? We have done. 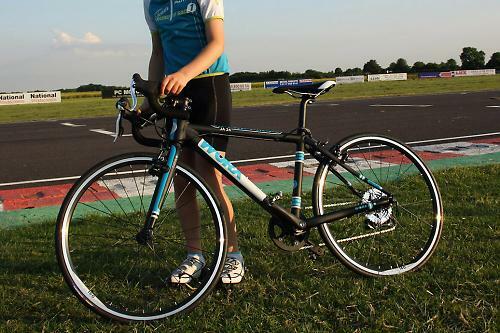 Simply the nicest 24in wheeled road/cross bike our young testers have ridden.